As the student’s take a leap from school life to college life, there are thousands of expectation and imagination about how their college life will turn out to be. This image is not at all limited to the curriculum or knowledge that they are going to get, but it is enclosed by the desire to enjoy and have fun along with the studies. Marwadi University is well-versed in this fact and has developed the university accordingly. Marwadi University offers each and everything, right from infrastructure to experienced facility and environment that can help them grow from a school pass out to a person who can face the world. There are various clubs and activities that can keep them engaged and free from the stress of their educational burden. The infrastructure being supportive of their growth and excellent hostel and cafeteria adds to this complete package. Have a sneak-peak into few facilities and get a holistic approach to Marwadi University’s approach in helping the students grow. A hostel that is a home away from home for the students! With the various facilities such as purified water, security, ATM Facility, laundry facility, medical room and spacious rooms. There are various clubs that can interest students apart from studies. There are various clubs such as fitness club, team-building club, green club, movie club and many more. 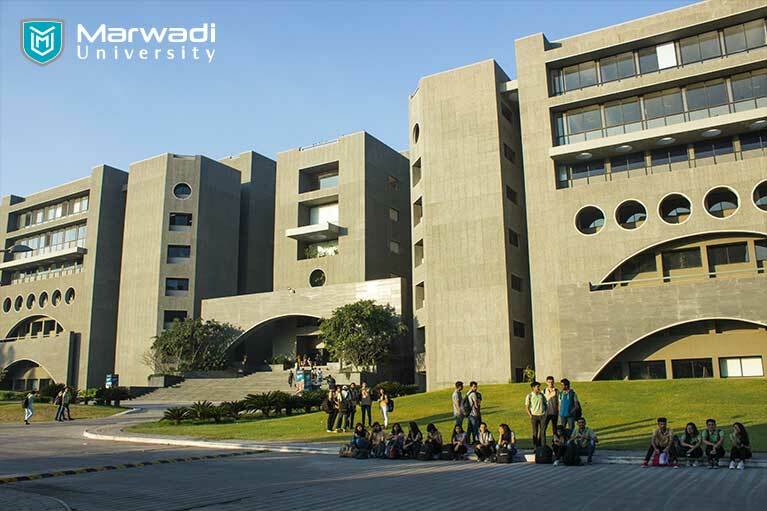 Marwadi University has a library for the students that can accommodate a large number of students and has a collection of almost all books that are needed for studies as well as overall growth. Visit Marwadi University to view the facilities and environment.